"Cut The Rope" and "Pudding Monsters": NEW Game "Cut The Rope: Magic"
NEW Game "Cut The Rope: Magic"
ABRACADABRA ! 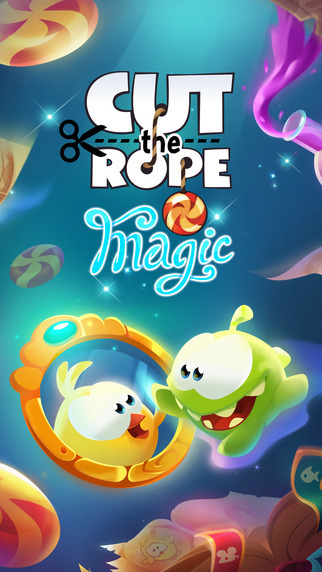 After more than 750 million downloads, the Cut the Rope series returns with a magical new sequel: Cut the Rope: Magic ! 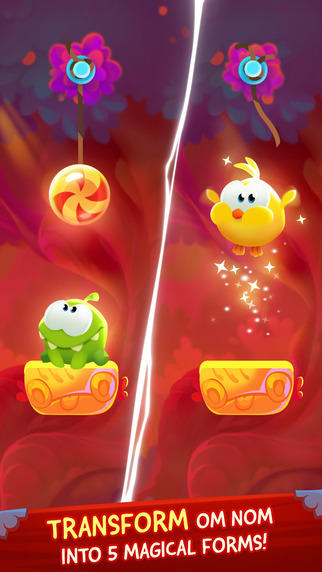 Join Om Nom’s newest adventure and transform him into magical forms to help the lovable little monster recover candy stolen by an evil wizard ! A magical mishap has accidentally teleported Om Nom to a mystical world filled with challenging puzzles for players of all ages. 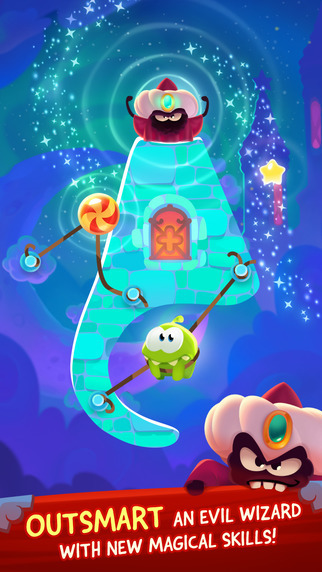 Can you use Om Nom’s new skills to solve an evil wizard’s tricks and traps ? 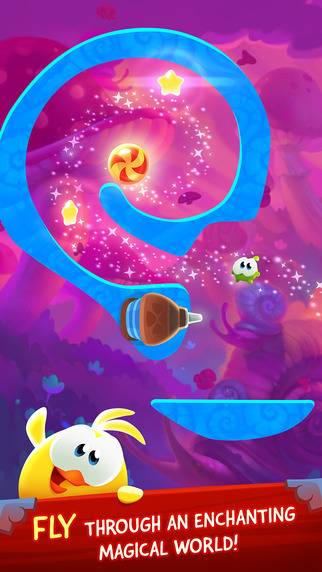 The latest installment of this globally popular entertainment franchise puts a fresh spin on Cut the Rope’s iconic physics-puzzle gameplay, introducing more than 100 all-new magic-themed levels across a richly imagined, colorful world. THAT’S NOT ALL -- Additional levels and transformations coming soon ! This is another interesting "Cut The Rope" new game but it's easier than the older ones and it doesn't give you a score now. There're only 5 achievements for ver. 1.0, you can get them by just completing the 5 sets of levels and you don't have to get all the stars. 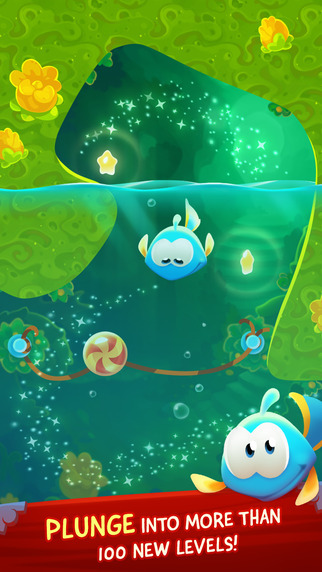 The interesting new feature is that Om Nom can transform into different forms. Cut The Rope Thanks for sharing.